Brainquility Music Festival makes its debut this April 21, 2018, at the Waterfront Park in Safety Harbor, FL. The single-day festival, hosted by OnTap Music, will feature one stage and six artists, featuring Beats Antique, Lettuce, TAUK, Voodoo Visionary, MZG, and SIDETRAKD. “Brainquility is more than a music festival. It’s a collection of artists exhibiting the best of funk, jazz, and global fusion, bringing big sound sounds and a local artist vibe to Safety Harbor’s Waterfront Park in Tampa, Florida.” General Admission and VIP tickets are currently available in the range of $55-$155. 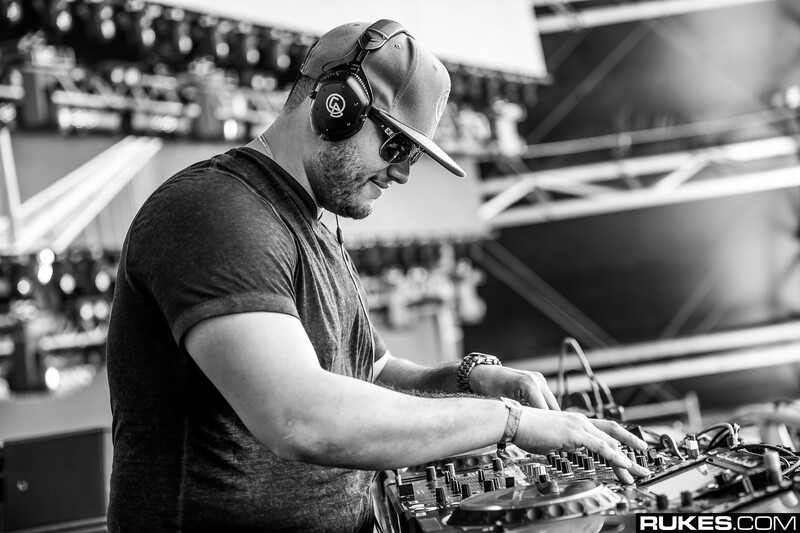 Sunset Music Festival returns to Raymond James Stadium in Tampa, FL for its fifth year this Memorial Day Weekend (Saturday May 28 to Sunday May 29). This year’s lineup will see some familiar faces like Hardwell, The Chainsmokers, Jack U (Skrillex previously played a solo set last year, but will be joined by Diplo this year for Jack U), Mija, Claptone, Sam Feldt, Thomas Jack, Cash Cash, Borgore, Funtcase, and more. 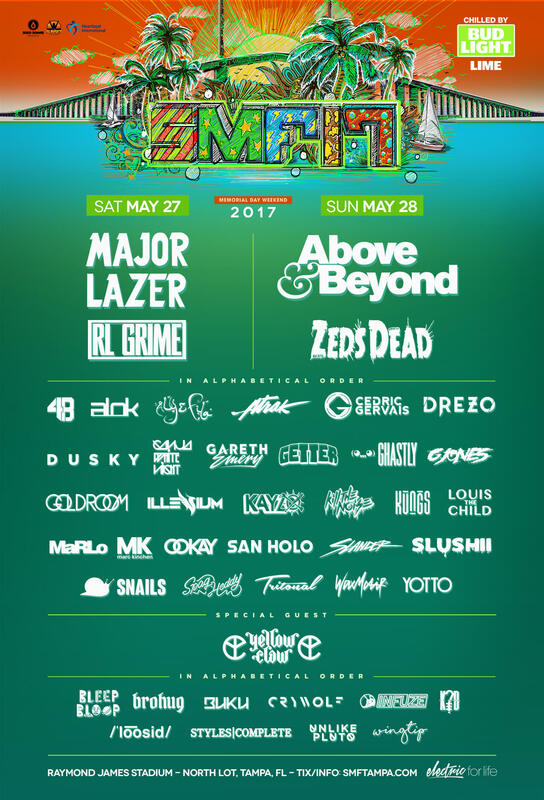 Newer names include Snails, Seven Lions, Vanic, Jai Wolf, Jauz, Matoma, Marshmello, Lane 8, Claude Vonstroke, CID, Louis the Child, and more. Additionally, although this is pure speculation, it wouldn’t be unreasonable to think that Justin Bieber might make an appearance for Jack U, especially considering that he doesn’t appear to have any conflicting events booked for May 29. Check out the full lineup here. The previous two Sunset Music Festival events drew crowds in the neighborhood of 40,000-50,000, in spite of some of the temporary weather difficulties the festival has faced. Expect this year’s festival to be, at a minimum, on par with previous years in terms of attendance and production value. Tickets are currently on sale with General Admission tickets going for $159 (plus fees), while VIP passes are $234 (plus fees). Make sure to check out Sunset’s information, including their guide, location, and safety. We hope to see you there!